This two-bedroom rental home in Sarasota Florida is located on the tranquil southernmost tip of Siesta Key, where you are surrounded by water. 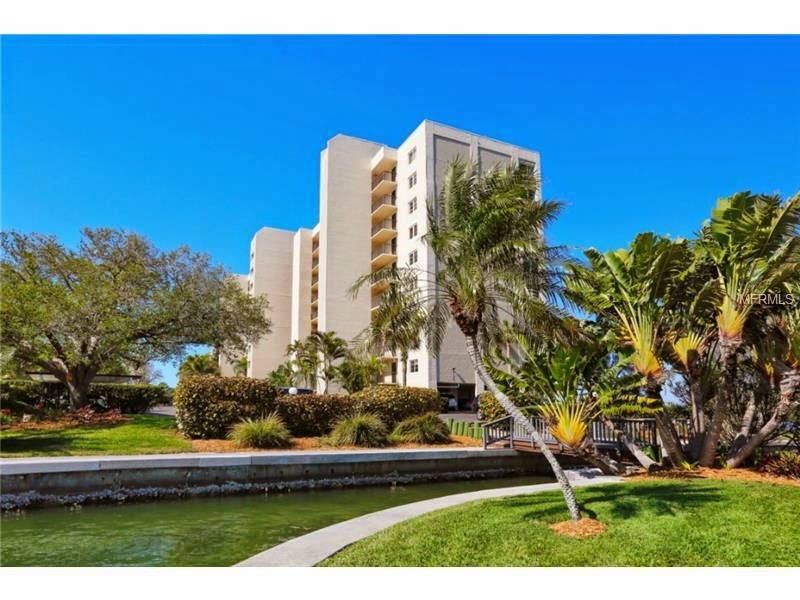 This waterfront condo at The Pointe on Siesta Key has panoramic views of the Intra-coastal Waterway from the spacious lanai or watch the sun set over the Gulf in this beautiful fourth floor unit. Full length sliders in the living room and the master bedroom bring the views inside. The kitchen has been updated with granite counter tops, wood and glass cabinets, recessed lighting and newer appliances. Both the master and guest baths have also been redone with new tile, shower/bath glass doors and granite counters. There are custom designed closets in the master and the second bedroom has been converted to a study/office with bookshelves, cabinets and a built-in desk. The living room, master bedroom and kitchen all have crown molding and all the doors throughout the home are solid wood. Amenities in this secured, gated community include an over-sized heated pool, large separate hot tub, lighted tennis court, men's and women's fitness rooms and saunas, kayak/canoe racks and boat slips, a gazebo with outdoor grills and a beautiful updated clubhouse - "The Cottage" - with kitchen facilities available for private parties. Turtle Beach is just a short walk around the corner and several restaurants are nearby. This home is what many dream of...the perfect location for vacation or year round living...come experience paradise for yourself!